She was an outstanding resource of the area along with her boyfriend Peter Lang and some other friends who gave me a thorough bike tour of this rather uncycled borough. The Harbor Ring provides stunning views of the metro area skyline, Statue of Liberty, the Verrazano Bridge, and Ellis Island, while reconnecting residents and visitors to New York and New Jersey’s spectacular waterfront, offering access to enjoy some of the region’s most historic landmarks and destinations. 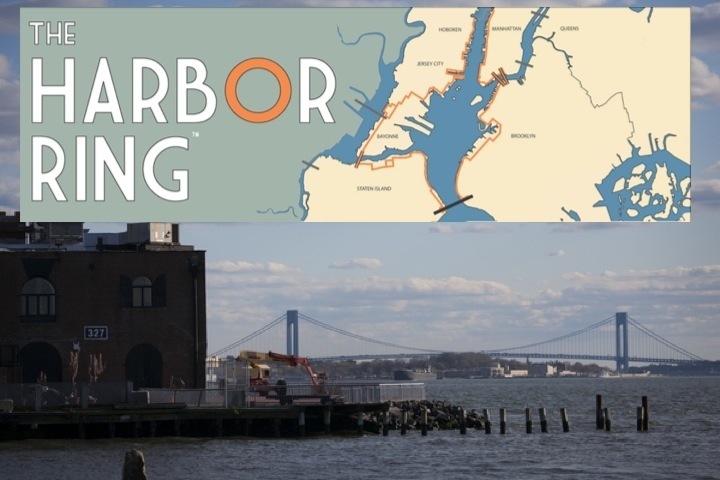 Spreading the word about the Harbor Ring project will build support towards our ultimate goal: bicycle and pedestrian access over the Verrazano Bridge, the “missing link” to the Harbor Ring. 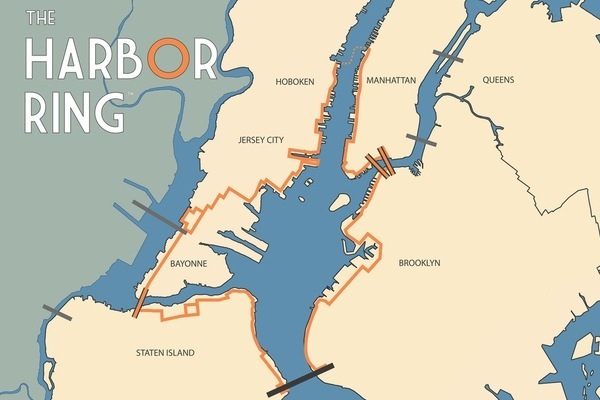 This Tuesday, we officially launched our campaign and also kicked off our fundraising efforts to produce a print fold-out map of the entire route, which we will distribute gratis at businesses, bike shops, and at events along the Harbor Ring, so anyone can easily get a copy and locals and visitors alike can make the most of their trip around the New York Bay and experience the charm of the local sights and tastes. Donations are 100% tax-deductible–$25 or above gets you a copy of our new map, and $50 or above gets you a map and a T.A. membership. We also have opportunities for businesses to buy ad space on the map.